It is now official. I am a mother-in-law. That feels so very strange to say. My youngest son was married in Galveston at Ashton Villa Saturday night. My husband took a lot of pictures; I took some. For anyone who might be interested, I still have two unmarried sons who both happen to be pretty nice guys. 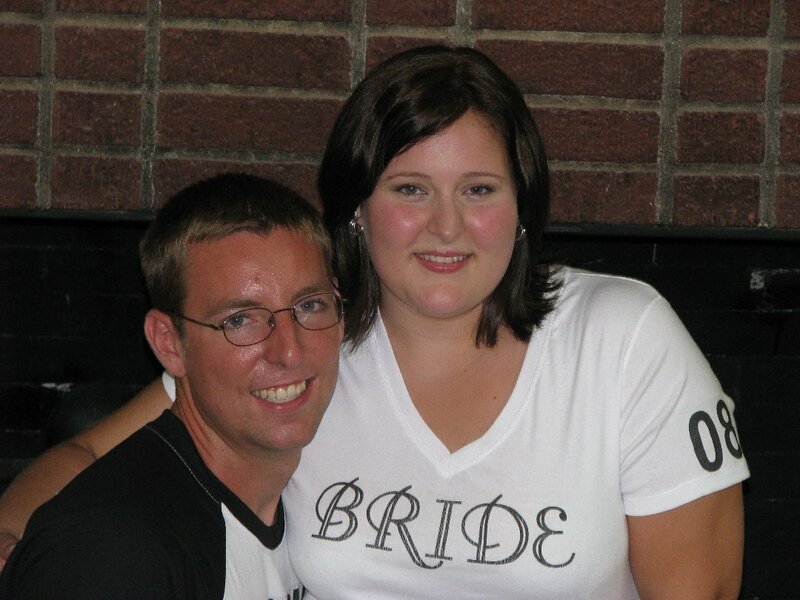 We all had shirts labeled with our roles so we wouldn’t forget. 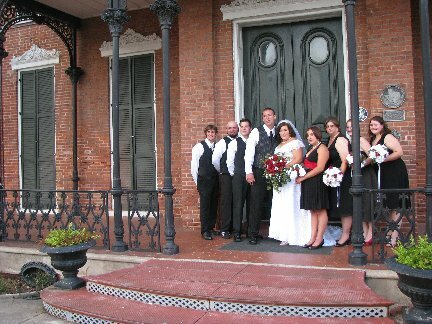 here is the wedding party in front of Ashton Villa, a historic house museum in Galveston on Broadway. 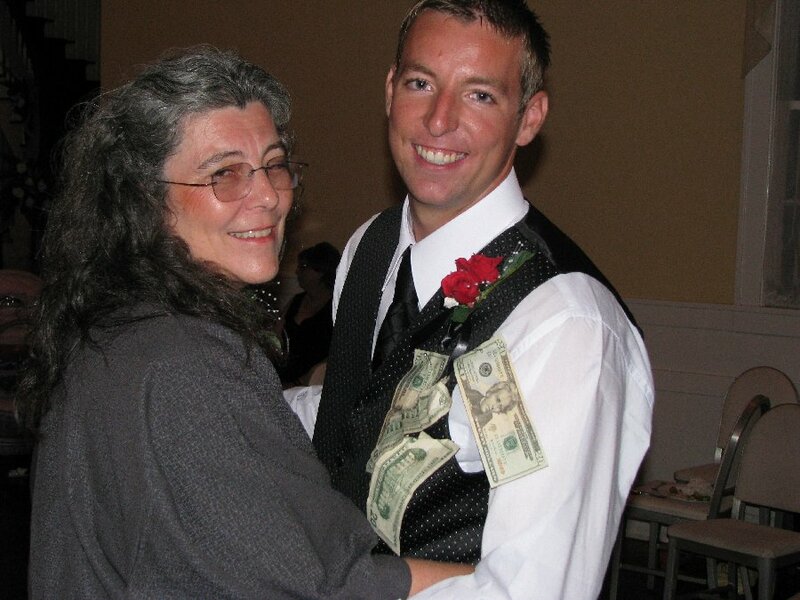 Here I am dancing with my handsome son–pinning money on the bride and groom to pay for a dance with them is a Cajun wedding custom. Here is a link to the rest of my photos. To keep the groom occupied during the day (so he wouldn’t see the bride), we toured a drilling rig museum with middle son acting as tour guide. I also finished the binding on his grandmother’s wedding gift—a quilt. She made one for each grandchild and left me the task of quilting them as each got married. I’m about half done with this project.